January 14th, 2011 - It runs! 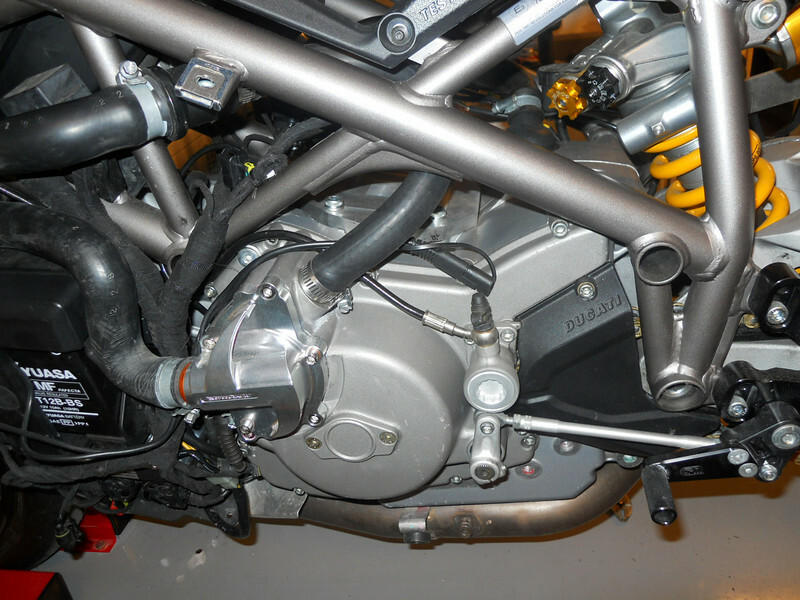 Removed the stock ECU and replaced it with a Microtec unit from the Duc Shop. The engine fired instantly and idled very well for a single. The water hose loops back to the 3way splitter to bypass the missing cylinder.